I feel like the love for pumpkin flavoured goodies dies out sooner in Canada than in the States since our Thanksgiving happens so much earlier. When does "all things pumpkin" come to an end? End of November? After Christmas? 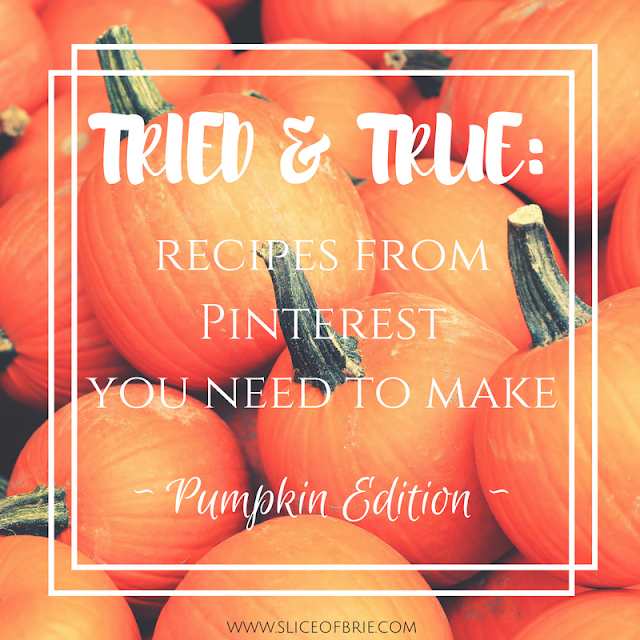 I really don't know, but in case your still in the mood for some yummy pumpkin infused recipes, I've got you covered. This past month I made over a handful of different pumpkin recipes and today I'm sharing the best of the best with you. (If you want some actual meal recipe ideas, then be sure to check out last month's Pinterest roundup!). 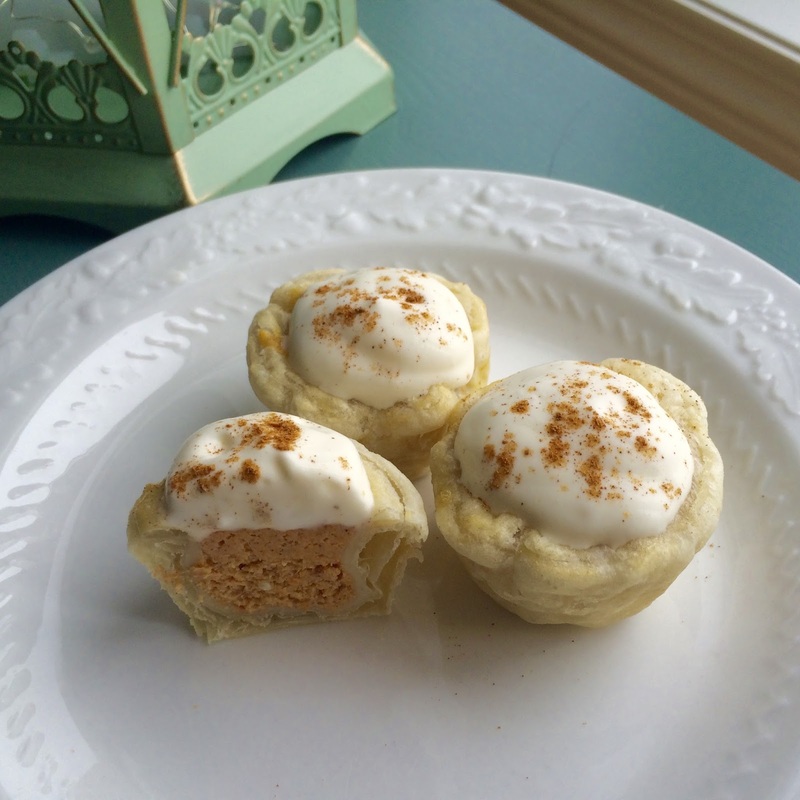 Easy Pumpkin Pie Bites: Pinned over 327 THOUSAND times! You know what I find interesting (and frustrating) about Pinterest? The fact that a recipe can be pinned hundreds of thousands of times, yet there are no comments on the pin itself, and the blog post sharing said recipe has minimal to no comments on it as well. I for one, like to see what people have to say about a recipe: what worked for them,what substitutes did they make, did they love it...etc. This is why trying recipes on Pinterest are so hit and miss! Thoughts: Anyway, thankfully, despite the lack of comments on this one, it was a winner. I made these for Thanksgiving dinner, and while my two younger nephews aren't a fan of pumpkin based desserts, it just meant the adults got to indulge in more! I made them the night before and didn't put the whipped cream on them until we were ready to eat them. I would recommend eating them within a day or two of making since the pastry does start to dry out, but they were still delicious! Verdict: I loved the two-bite, cuteness factor. Although, I'm pretty sure I ate WAY more of these little bites than I would have of regular pumpkin pie. Thanksgiving dinner calories don't count, right? Thoughts: I wanted something my husband could throw in his lunch for a snack, and something I could grab on my way out the door. These were both delicious and filling. 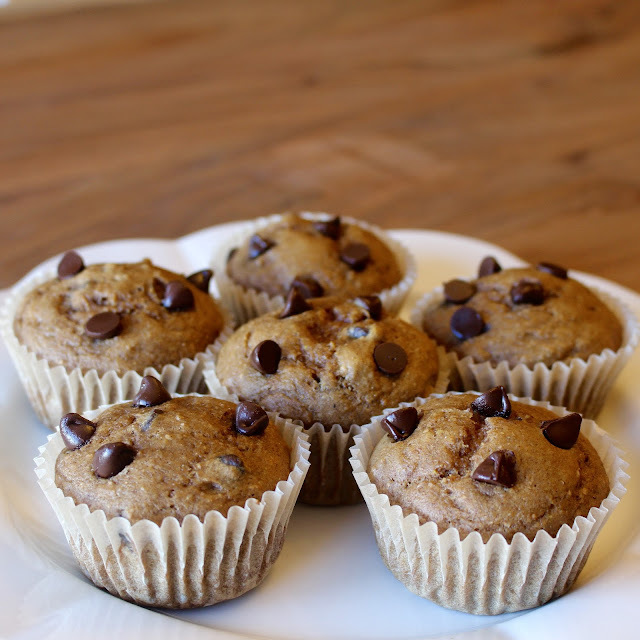 The pumpkin flavour is not strong in them at all - I would probably use pumpkin pie spice next time to amp it up, but otherwise, these would be a great year round muffin to make! Verdict: These were a big hit with both myself and my husband. Even my toddler, who is funny about muffins, would eat about half of one before declaring "I'm done!". I think the chocolate chips helped. Verdict: I really, really loved these cookies. And my toddler ate them too, so that's always a win! They reminded me of a nice, chewy molasses cookie, but with a slight pumpkin flavour. 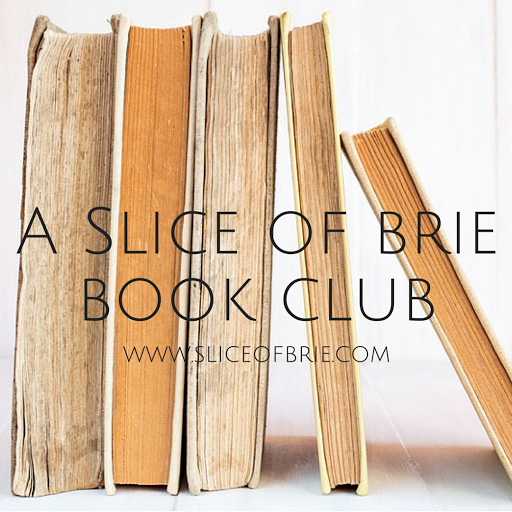 Thoughts: Okay, this one is a little self-promotion here because this is a recipe I posted the other week, but seriously, if you missed it, you need to make this one! It's the perfect holiday snack, whether it's for Friday movie night or a party. 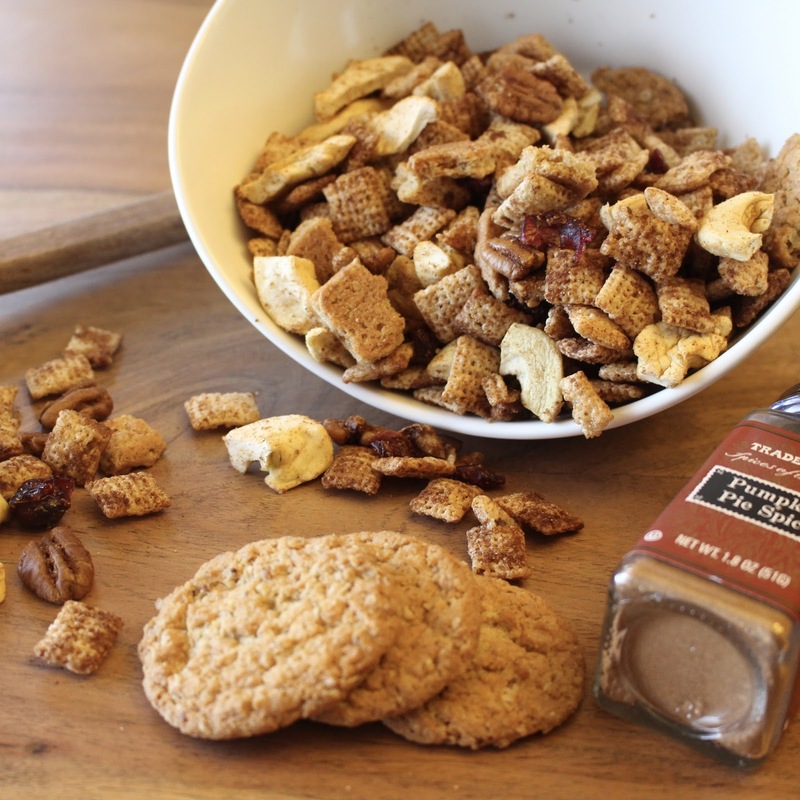 It's easy, delicious and a great way to have your pumpkin pie spice without using any actual pumpkin. Pumpkin desserts: love 'em or hate 'em? Favourite pumpkin snack/dessert? Share your recipe in the comments!